The US has made it a political matter by opposing the IMF’s support to Pakistan, as it would resultantly benefit Beijing. The year 2017 ended on a positive note, with some major economies leading the “broadest synchronised global upsurge since 2010”, according to the International Monetary Fund (IMF). Markets reacted positively to the improved global economic outlook, giving rise to a flare of optimism in the investor community. Halfway through 2018, however, and the global economic scenario now paints a different picture. China just lost its spot to Japan for the second largest stock market in the world, amid rising tension over the trade war concerns between the two major superpowers. Donald Trump seems to be on board to fulfil his promise of bringing back manufacturing to the US, an effort that has sparked controversy, fear and concern over its implication on emerging economies. His policy is contrary to what was implemented by previous administrations, who endorsed free trade. A similar protectionist measure was taken by the Republican government back in the 1890s through the imposition of the McKinley Tariff Act, which proved to be unpopular to the extent that the Democrats took over later in 1892. As they say, history may not repeat itself, but it certainly does rhyme. Given how the US is coursing its relations with China, Russia, Turkey and Iran through its economic measures, expect Trump’s popularity to head further south. Thus far, the US has proposed tariffs on $200 billion worth of Chinese goods, which was followed by the consideration to raise the tariff to 25%. China has retaliated through similar but not more stringent measures, implying that it may be willing to negotiate, as it seems to be facing the heat. President Xi Jinping has called for a high-level meeting later this month, with details not known to many. What does this trade war mean for China and the global economy? China’s economic performance continues to remain under pressure – the Gross Domestic Product (GDP) growth has slowed down significantly compared to historic highs. In fact, China’s total primary energy consumption – proxy for economic performance – rose by a meagre 3% in 2017 only, while debt-to-GDP is going through the roof, the Yuan is slipping against the USD, and consumer confidence is dwindling. Meanwhile, for the global ecosystem, this means an increase in inflation, given China’s undisputed dominance in the value chain for all small to large corporations in the world. Higher inflation could potentially accelerate monetary tightening, and thus mar the recent improvement in global demand. Apart from the Bank of Japan, most major central banks across the globe have started to raise interest rates, and this may just be the beginning. China has long sensed this move coming from the US, which is why it went ahead with the One Belt One Road (OBOR) initiative. The idea was to reduce its trade dependence on the US and increase its exposure in emerging markets in South Asia, Africa, Middle East and Europe. In this interesting geopolitical development, Pakistan’s foreign policy has pivoted in favour of China, courtesy the latter’s $61 billion investment plan under the China-Pakistan Economic Corridor (CPEC). Given Pakistan’s growing economic challenges, including tumbling foreign exchange reserves, it initially seemed like another IMF program was on the cards. 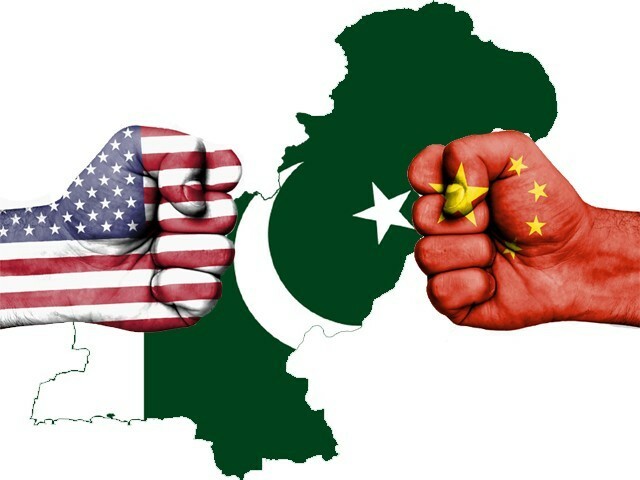 However, given Pakistan’s growing dependence on China in the recent past, and the deteriorating relationship between the US and China, it seems like Pakistan may have to opt for other options, including further assistance from China. IMF’s $10-12 billion assistance program will come with strings attached, which includes measures to support fiscal discipline through a cut in development spending, an additional tax burden, and greater transparency in CPEC projects in the form of detailed disclosures of financial terms and conditions. This, however, may not be acceptable to Chinese investors in Pakistan, and prove to be unpopular among the masses; a risk the new Pakistan Tehreek-e-Insaf (PTI) government may not be willing to take at such an early stage of its term. On the flipside, the US has already made this a political matter by opposing the IMF’s support to Pakistan, as it would resultantly benefit Beijing. Also, given that the Chinese contractors involved in CPEC projects have a debt to earnings before interest, taxes, depreciation, and amortisation (EBITDA), according to the Financial Times, a measure to reflect the ability to payback debt adds more pressure on Beijing to support Pakistan in hitting the road back towards economic and financial stability. That said, Pakistan may potentially end up striking a deal with China to address its balance of payment crisis, alongside support from other countries like Saudi Arabia. What does this scenario mean for the US? The US imports over $500 billion worth of goods from China (more than a fifth of its total imports), making it heavily reliant on the Asian superpower. Protectionist measures from the US could help curb the soaring twin deficit the country is facing, but the analysis is far more complex and multi-dimensional. – China holds $1.2 trillion worth of US government bonds, and if it decides to use this card at the cost of significant capital losses, it can lead to mayhem in the global financial markets, severely impacting interest rates and bond prices in the US. However, this move may weaken the US dollar and make US exports more attractive. – President Trump’s surprising victory would not have been possible without the support from the farming community in the US. China’s retaliatory move on US’s soybean exports brought about hue and cry in the farming community, which is demanding favourable trade terms and not aid from the US government (reference to the $12 billion announced by Trump to compensate for the loss). – Most of the value chain of major US corporations, including Apple, is based in China. Tariff from the US either means higher prices for the end consumer, which would seriously undermine growth prospects for the likes of Apple – which has been overtaken by companies like Huawei in terms of volume – or a hit on the margin. – In terms of top-line growth, many major US companies are depending on China, given the appealing demographics. Facebook believes it cannot connect the world if China is not part of it; meanwhile Google is in process to launch a censored search engine specifically designed for China. Both firms have a combined market cap of over $1.3 trillion. According to estimates, the US may have to take a 1% hit on its GDP growth if the trade war worsens. – Finally, the US is set to have its midterm elections soon. Unlike China, the US is a democratic state and the opinion of the masses matters. President Trump has to be prudent, especially with many republicans no longer on his side following certain unpopular measures. To conclude, it’s hard to point out which side is going to blink first, but it remains clear that the US-China trade war is going to be detrimental for the global economy. China may have to accept concerns raised by the international community regarding intellectual property rights, openness of its economy, and transparency. The Chinese government may not be in a position to hit back through stringent regulatory measures against American firms operating in China, as this may undermine Asian and European investors’ confidence for the years to come. Ultimately, the US may just succeed in getting what it wants – concessions from the Chinese government. The author has a Masters in Finance from the London Business School and holds an undergraduate degree from IBA. His keen interests include analyzing global markets and geopolitics.